Simply fill in our form and a member of our dedicated team will be in touch. Yes, I would like to opt-in to future communication from AMP Clean Energy. Commercial biomass boilers that use wood pellet or chip, require more attention than gas or oil boilers and should be cleaned and serviced regularly to ensure boiler efficiency. With over 900 biomass boilers under management, you can rely on us to get the best out of your wood fuel boiler over the longest time period possible. 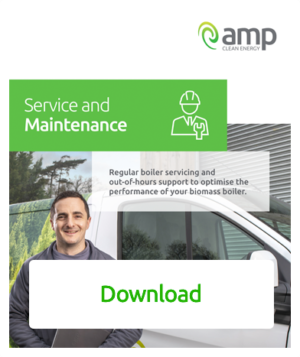 AMP Clean Energy’s Service and Maintenance contracts provide regular boiler servicing to commercial boilers, as well as access to out of hours support. Our biomass engineers will also optimise your boiler’s performance, minimise downtime increase heat output and thereby maximise your RHI payments. 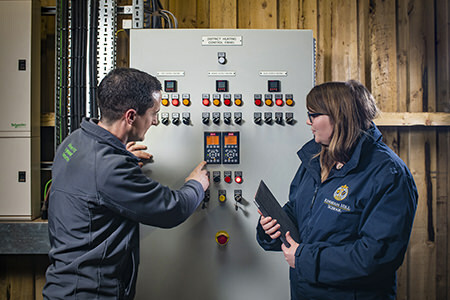 Without regular care and servicing, a commercial biomass boiler may become less efficient, which can lead to increased boiler downtime and the possibility of lost RHI payments. 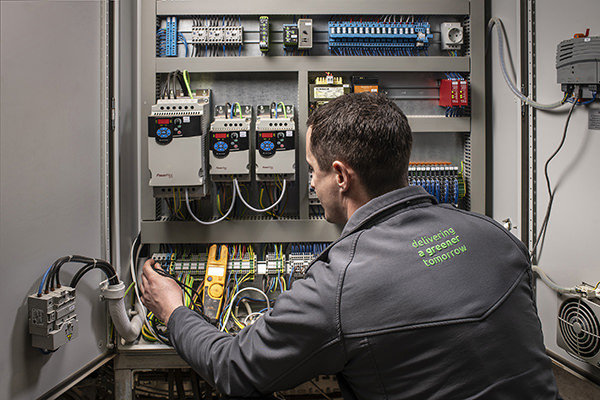 The number of times planned maintenance should be carried out depends on boiler usage levels, boiler types and boiler size. Our expert engineers will help assess and advise on which plan is best for your boiler.